I use trays all over the house to organize and corral goodies. They are fabulous and versatile and functional. And they can also be expensive! So why not DIY one for a fraction of the cost? I promise it won't be hard. In fact, it will allow you to customize it and personalize it for your space and needs. Jen, of The House of Wood blog, is my brilliant building friend who is always creating something amazing. 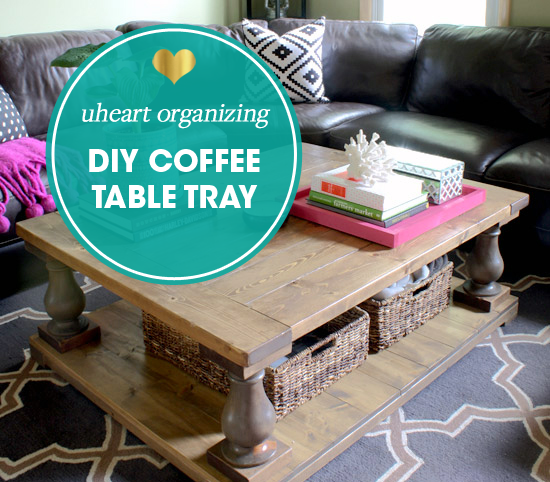 Today she is here to share how she made her own coffee table tray to add a little decorative and organizational touch to her also DIY'd coffee table. I am so excited about how simple she makes it look, I may be making myself new trays all afternoon now! Hi friends! 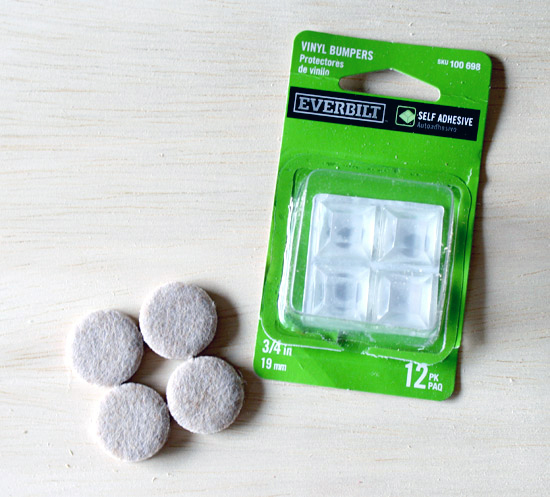 Jen Woodhouse here, back with another DIY organizing project for you! I'm thrilled to be hanging out with y'all today, sharing how I style and organize my coffee table so that it's the perfect marriage between form and function. This also helps with my actual marriage. My husband is the type of guy who wonders why we need curtains when we have blinds. Bless his heart, he clearly understands function, but form is completely lost on him. I love all the surface space on our coffee table - it gives me a lot of real estate to play with when it comes to styling it. And it keeps my husband happy because he still has room to kick up his feet after a long day, even after I put a bunch of stuff on it, all in the name of 'styling.' 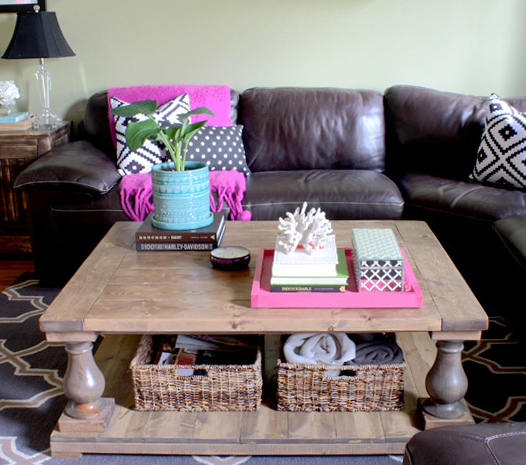 So you see, a well-styled and organized coffee table is the key to a happy marriage. Now if only I can convince him that beanbags are NOT acceptable adult furniture, we'll be golden. 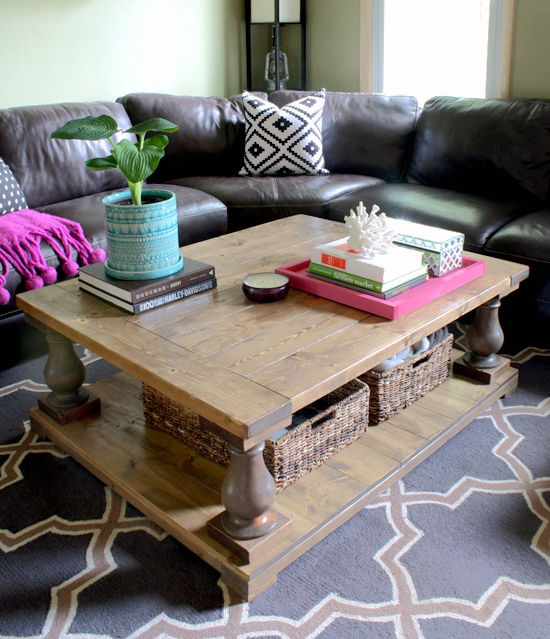 By the way, that's a DIY coffee table - the full tutorial is here and it's totally a beginner project, I promise. I built my coffee table because I am way too picky resourceful and crafty. But that's the beauty of DIY, isn't it? I was able to build it according to my exact measurements and needs. 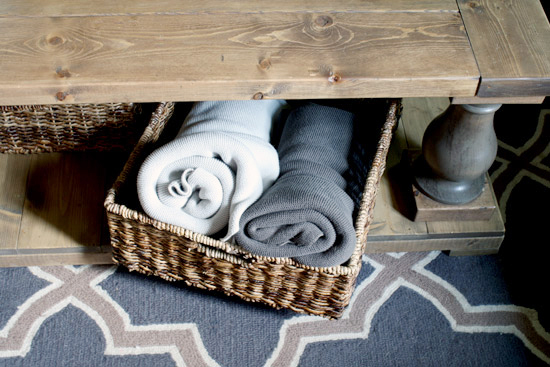 When styling my coffee table, I like to start with a tray of some sort. It breaks up the surface space and helps contain various items. 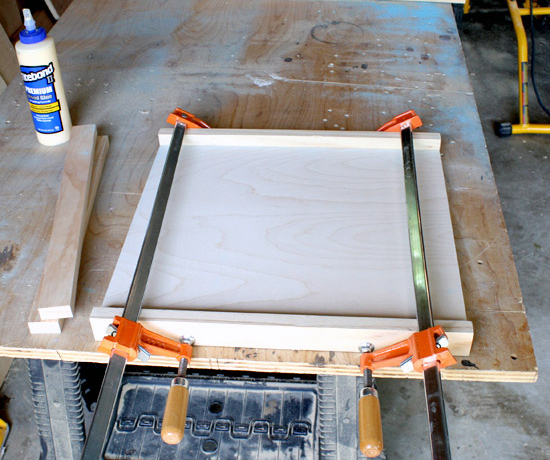 Since my pile of scrap wood is slowly overtaking my garage, I made this little DIY tray to keep things organized. This project was super easy and fast. It took less than an hour to complete, including the time it took for the paint to dry! 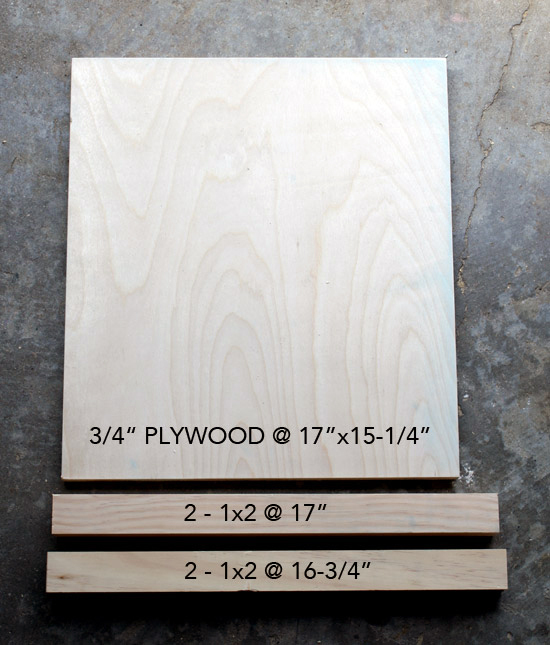 You can alter the measurements to fit your needs; I made mine this size because that's the piece of plywood I had on-hand. First, I cut the 1x2 boards down to size, to frame out the plywood bottom. 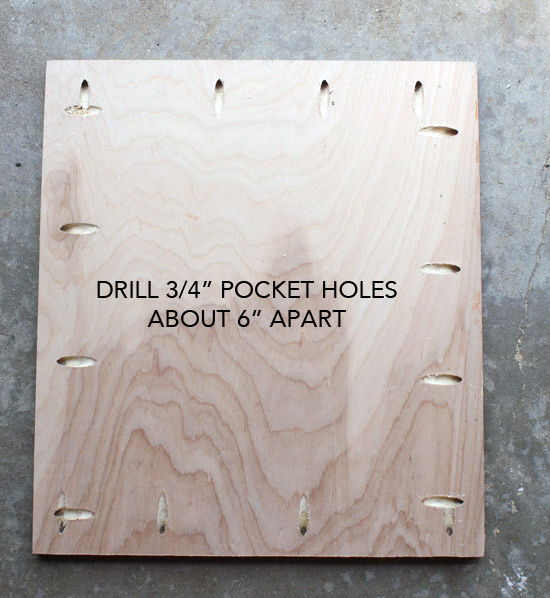 Then I drilled 3/4" pocket holes into the bottom of the plywood. 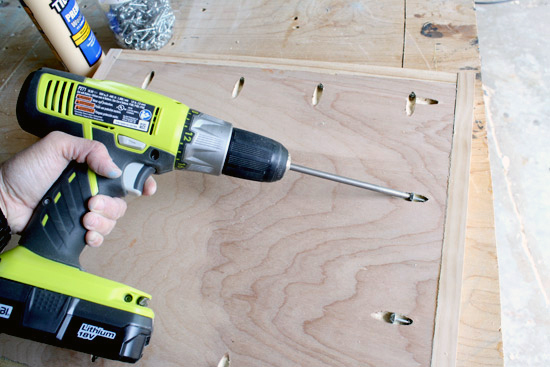 If you don't have a pocket hole jig, you can just as easily use wood screws or nails to attach the 1x2s to the plywood. 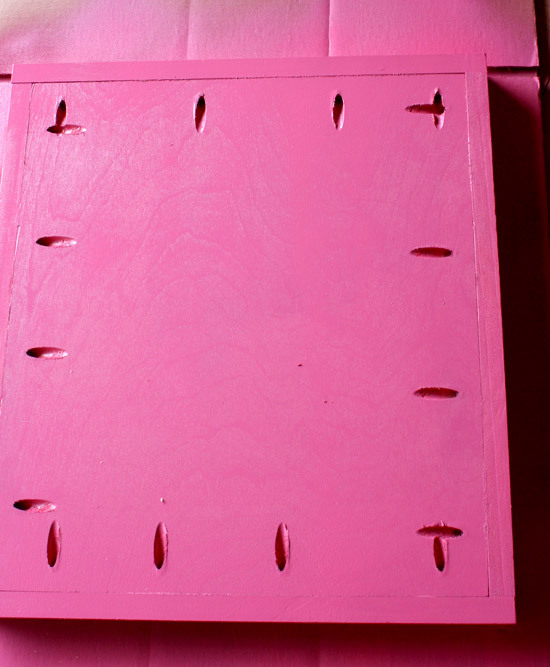 I prefer using pocket hole joinery because the screw holes are hidden underneath. And hammered a few brad nails in from the side to hold the frame together while it dried. The nails aren't necessary, but they certainly helped hold everything in place so that I could flip the whole thing over and drive in the 1-1/4" pocket hole screws. Super simple, right? Yeah, it's not rocket surgery. I do love trays though. They're beautiful, yet so useful. 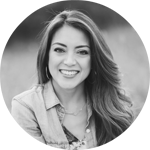 They're like your perfect, gorgeous friend who you'd love to hate but can't because she is so sweet, thoughtful, and will watch your kids while you run to the grocery store. Bah. Speaking of perfect and gorgeous, do you ever look at those picture perfect homes in magazines and wonder, 'yeah, but who actually lives like that? I mean, where are the remote controls? Where are the Cheerio crumbs that have been permanently embedded into the carpet? Yes, folks, I Photoshop because I care. Okay, so maybe vacuuming isn't my thing, but surprise! 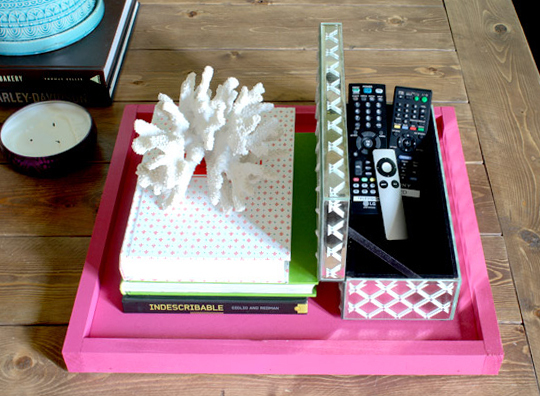 I did hide away those less-than-stylish remotes by stashing them in a pretty box. And because I am always, always cold (because my husband keeps the thermostat set to ALASKA), I keep a few blankets in one of the baskets, which is stored on the bottom shelf. 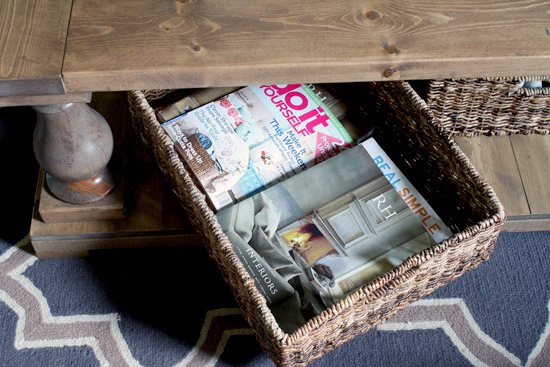 The other basket holds magazines and other miscellaneous clutter. Just to keep this little vignette interesting, I added a few coffee table books, something sculptural (coral), something living (plant), and something that smells good (candle). And just like that, form meets function and they live happily ever after. Seriously, I'm like the marriage-whisperer up in here. Never imagined it would be that simple. Thank you! May have to attempt one before Mother's Day. This is perfect! I'm planning a drink/grill cart on our back patio right now and it will need a tray on top. I think we probably even have all of the wood in scraps in the garage so it might even be a free project! (even have paint, too!) I better learn to use the kreg-jig myself though. I've asked my husband ALOT lately to cut wood and add pocket holes to things and still have a couple bigger projects to do. This is great! I was just out shopping for a nothing fancy but highly functional tray of a certain size for a little bar I want to set up. 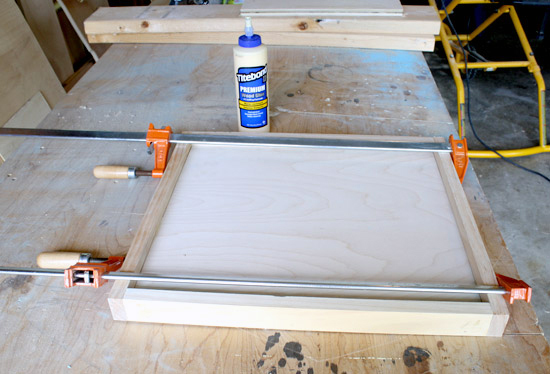 Your post couldn't come at a better time since now I could just make one in the exact size I need and your instructions seem very easy to follow for someone with little woodworking skills. What a fun project! I love the bright pink color. I am totally making one of these for myself. This is just what we need for our new storage ottoman! Will definitely have to try this out! Thanks Jen!! Nice post. This project seems like it could be a real saver and it takes less time to make it. Thanks for sharing.